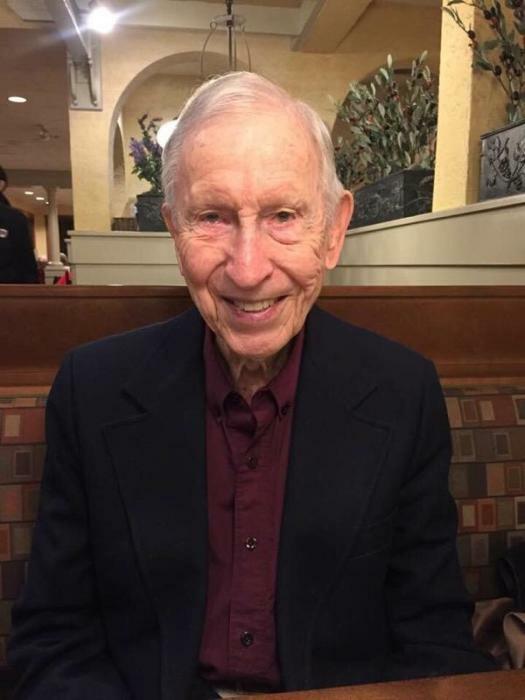 Obituary for Thomas Harris Walton | Jones Funeral Home, Inc.
Thomas Harris Walton died peacefully surrounded by family at UAMS Medical Center in Little Rock on Thursday January 17, 2019. Tom was born February 13, 1922 to Frances Margaret and Harry Phillip Walton in Yazoo City, MS. He graduated from high school in Yazoo City and received his degree in chemical engineering from Mississippi State University where he was a member of Sigma Alpha Epsilon. After graduation, he was commissioned a 2nd lieutenant in the US Army and rose to Captain of his anti aircraft artillery unit in New Guinea during WWII later achieving the rank of Major. He began his career in Laurel, MS working for the Masonite Corporation. In 1961, he moved to Crossett, AR where he became plant manager of the particleboard plant for the Crossett Company, which later became Georgia Pacific, retiring in 1984. He was an Elder in the Presbyterian Church and a member of Grace Presbyterian Church in Little Rock. Tom learned to play bridge at the age of 11 and continued to play until his recent illness. Gardening was a hobby he enjoyed, especially growing tomatoes. In his later years, he enjoyed watching “Days of Our Lives” and entering the sweepstakes for Publishers Clearing House. While living in Crossett, he served as a member of the library commission when the new Crossett Library was built. Above all, his family was his enjoyment in life. He was preceded in death by his parents, his four brothers, Harry, Nathaniel, Pryor, and Campbell Walton, his wife, Mary Noel Baird Walton, and his daughter, Katherine Walton Harpole and son-in-law John Harpole. Survivors include his son Campbell Walton and his wife Van of Charlotte, NC, his son Dr. Bob Walton of Batesville, AR, and his daughter Martha Walton Thannisch and her husband Ray of Little Rock. He is survived by ten grandchildren, Katy Harpole Smith (Damon) of Pensacola, FL, Douglas Harpole (Stephanie) of Little Rock, Aaron Walton of Milwaukee, WI, Benjamin Walton (Melissa) of Charlotte, NC, Mary Stuart Walton of Fayetteville, AR, Caroline Earleywine (Bonnie) of Little Rock, Elizabeth Walton of Tulsa, OK, Thomas Walton of Bentonville, AR, Adam Thannisch of Little Rock, and Maggie Thannisch of Little Rock. Great grandchildren include Conner, Julianna, and Carter Harpole of Little Rock, and Teague Walton of Charlotte, NC. A family graveside service will be held at Pinewood Memorial Park in Crossett, AR on Monday Jan 21 at 11:00 am with the Rev. Karen Akin officiating. A memorial service will be held in Little Rock on February 16 at 2:00 pm at Grace Presbyterian Church with the Rev. Karen Akin officiating. In lieu of flowers, memorials may be made to Grace Presbyterian Church 9301 N. Rodney Parham, LR, AR 72227, the Winthrop P. Rockefeller Cancer Institute Slot 716 4301 W. Markham LR, AR 72205, or a memorial of your choice.